I was rummaging through a stack of new books at the local book store a couple of weeks ago when I came about this book by Tom Ang. For those of you who don’t know, Tom Ang is arguably one of the most respected photographer and photography book author in the world. This wasn’t the book that I was looking for but the words “a masterclass in every style and subject” caught my interest so I parted with my money and I got the book. When I saw the word “masterclass”, images of Masterchef Australia immediately flooded my mind. Why? It’s because at the end of the week, the judges give a cooking masterclass to all the contestants. So that word whetted my appetite and I tell you, I am not disappointed. The book covers every conceivable style and subject on photography. 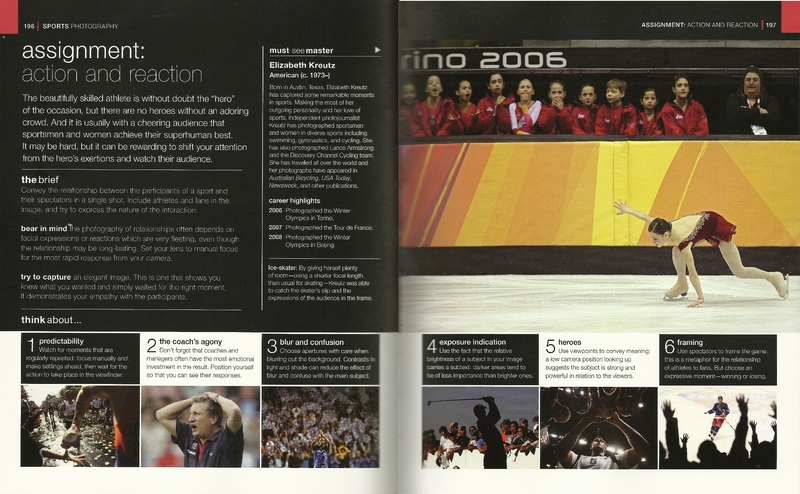 From sports photography to photo journalism, the book teaches something about a particular style and subject. The book is not technical so for those of you who are looking for a book full of f/stops, apertures and Kelvin calculations, then this book is not for you. Rather, the book teaches techniques on how to visualize a shot, compose it then create it – much like the masterclass of that famous cooking completion that I mentioned earlier. Mind you, it’s not just Tom Ang who shares techniques but a whole lot of famous photographers – 20 of them in fact. Basically, the book has the following flow: introduction to style and subject, tutorial of techniques, image analysis, a photo assignment (yes, you read it right) and behind the scenes. Intros of style and subject express how Tom Ang “sees” or feels about the subject – and is full of interesting quotes. For example, in sports photography, Tom Ang says that “it takes focus…to maintain a hair-trigger responsiveness to catch a crucial moment, which could occur without warning and be over in a second.” If you think of it, there is truth to this statement. Every intro on a style and subject has these “quotes” that will make you stop and think. What I also like about the intro section it that it enumerates key moments for the style and subject. For example, I didn’t know that a Brit took the first underwater photo (of a seaweed) off the waters of Weymouth, England in 1856. The tutorials section is also full of interesting quotes and the best one I liked states that “the photographer’s most powerful tool is restless vision, and the more restless, the better.” If you think if it, there is truth to this because a “restless vision” is our drive and passion to improve – to see things in a different angle or perspective that hasn’t been tried before. Tutorial sections are full of concise but very informative knowledge on what variables should a photographer consider for a shot, how to interpret those variables and how to make them work to create the “perfect” photo. As there is no tongue-twisting technical jargon and brain-crunching technical formulas to wrap one’s head around, the techniques are pretty easy to understand and to follow. I’ve a modest collection of photography books (not that those helped me to improve in anyway) and this book is the first book on photography I have that devotes a couple of pages for image analysis for each and every style and subject. The way the image for analysis is presented is that the image is divided using the rule of thirds, so there are nine sections and four crucial sections are selected for analysis. I think this is brilliant because it allows the reader to “wander” around the image, visually absorb the composition then read how four crucial sections of the frame made the photo a success. To be honest though, I wish that there would have been “more meat” for each analysis as it would leave the reader wanting for more. However, I think that the brevity of the analysis is one of the beauties of this book – it makes me think. Every time I finish a section and I start a new one, there’s one part of the new section I look forward to reading: the assignment. Each style and subject has a couple of pages where the reader gets the “chance” to practice what he/she had read on the intro and tutorial pages. The assignments are short, simple and direct. Every assignment has a brief on the task that needs to be done and some tips on how one can choose to approach assignment. It doesn’t spoon feed but lets the reader have a nice bite to chew on. Again, very much like Masterchef wherein a contestant gets to look at the dish, taste it, listen to tips on how the dish is created then cook the dish based on the contestant’s interpretation on how the dish was constructed. As an added treat for each assignment section, there’s an accompanying photo from a “must see master”. The “must see master” is a photographer internationally known for the images he/she produces for the style and subject being taught. As the images from these masters are brilliant, it will definitely give the reader a “kick start” on how to approach the assignment and inspiration on how to complete it. Now there’s the “behind the scenes” section. 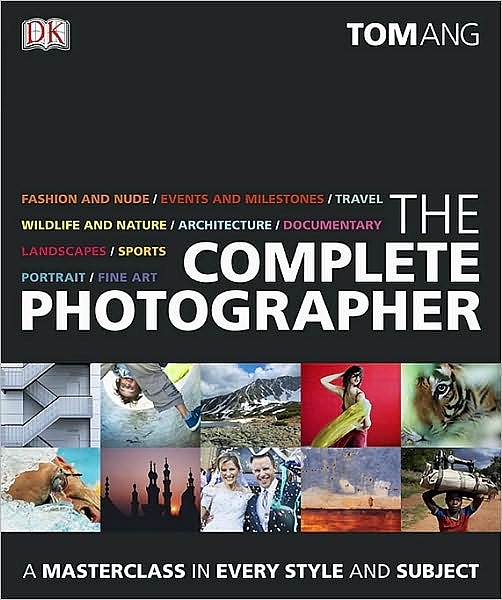 As I had mentioned earlier, works of 20 of the most accomplished photographers in the world are featured on this book and I believe that a lot of content on the tutorial sections are contributions of these photographers. For every style and subject, there is a featured photo by one of these photographers and “behind the scenes” shows how these photographers arrived at the photo, a timeline of the series of actions that the photographer took to create the photo in-focus. I think the approach to have a “behind the scenes” section in a book like this is a delight because I got to read about and see (through accompanying photos) how each photographer worked to create and make the shot. It gave me more appreciation on the importance of legwork and doing one’s homework before each shoot. 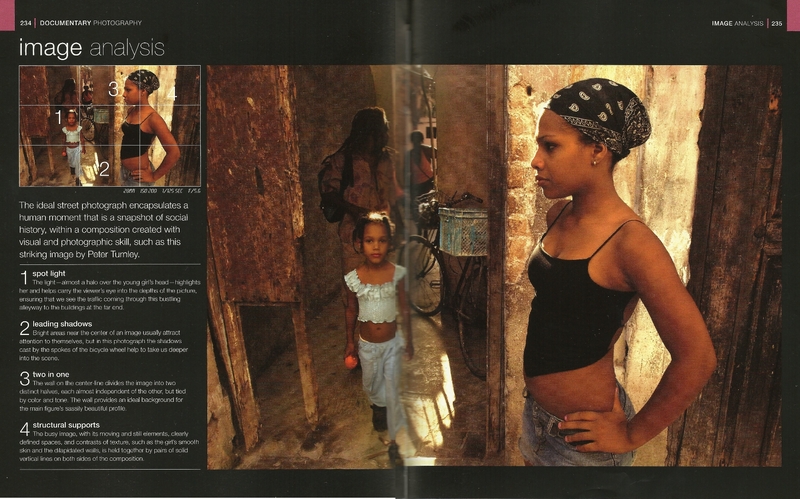 While this section doesn’t directly give tips, it will help the reader come-up with several methods on how he/she thinks the photographer came up with the shot i.e. again, helping the reader think. Is this the best book on the subject of photography I’ve ever read? Well no because of two reasons: one, I haven’t read every book about photography and two, the word “best” is highly subjective. However, this book is one of the better books on photography that I own and liked and is definitely work my few hundred quid. Is this book for everybody? I think it is but if you’re a tech geek who’s into f/stop and aperture number crunching or a product fan-boy who only reads photography books if your favorite camera brand is featured, this book might not be for you. So who is this book for? I think this book is for those of us who like to be guided but also like to figure/discover things on our own and for those of us who believe that knowing technical stuff is only a third of the battle and that the other 2/3 is about vision and creativity.